The three sides of the Crystal Palace triangle may only stretch to half a mile and seven pubs, so it’s one of the least onerous pub crawls in London, but there’s a villagey cosiness up at the top of the hill that makes you want to settle in for the weekend and tie one on. Like its Bermuda equivalent, it’s easy to lose contact with the outside world in this hilltop drinking haven. Also, after scaling that bloody hill from Crystal Palace station, you’ll need at least seven pints to slake your thirst. 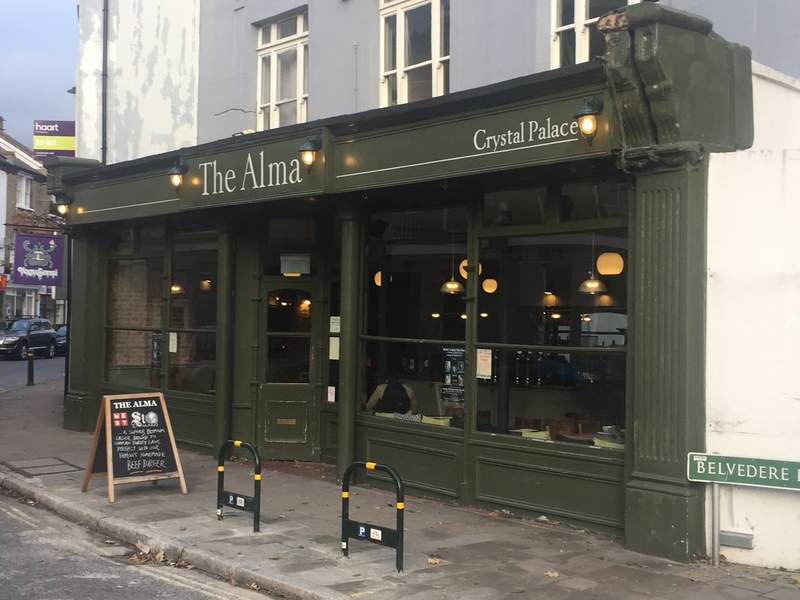 It’s all about the grain rather than the grape at this grand old hilltop Crystal Palace stalwart, LocAle-accredited and a Camra South London pub of the year in 2011. It’s a great barn of a pub shielded by a thick hedge, hiding a kind of ramshackle Tudor drinking hall. At lunchtime, it’s quiet and musty with music played sporadically and at different volumes, as if the few punters in there are being subjected to CIA interrogation techniques. Three higgledy-piggledy rooms of with wildly differing ceiling heights have been knocked through to make an extended hall you could easily play a game of tennis in. It has an easy-come easy-go farmhouse or travellers’ inn feel too, perhaps from its position at the top of the hill. There’s a deeply masculine air to the place, from the patchwork attempts at decoration – beermats Prittsticked into crosses, an undersized pane of stained glass hung over a large window, pendant lights boxed in with plywood – to the retention of pickled eggs at the bar. At lunchtime, it’s slow; the landlord chomps on a sandwich at the bar and is bored enough to put out reservation notices on the tables six hours early. Returning six hours later, those tables are filled with big work groups of ladies and beer-plump locals, there’s a band playing (bands appear four nights a week) and it’s standing-on-your-neighbours’-feet room only at a bar brandishing twelve pumps. 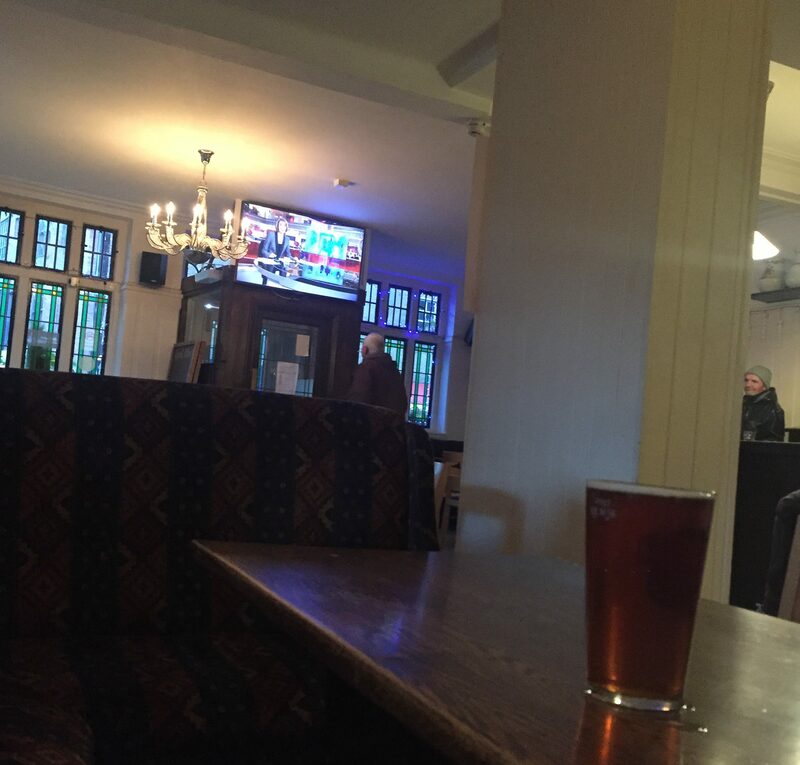 In the daytime, the clattery wooden floors and the sheer sprawl of the place count against the quiet lonesome pint. At night, packed to the rafters, you realise why the landlord was taking it so easy in the day – he was saving his strength. Not all twelve pumps are always running. On a recent visit, two beers each from local breweries Gipsy Hill and the Cronx were on tap. On another, I spotted a good haul of Hogsback TEA, London Fields Shoreditch Triangle, Kent Prohibition, Hophead, Pharaoh’s Prize from Burton Bridge and St Peter’s Mild. Wolf Rock, Meantime, Sharp’s Pilsner, Symonds are permanent fixtures. Punters can spill out into a cobbled front beer garden with sunflowers, shielded from the sights if not the sounds of a busy crossroads. And those in the know can linger in the secret ‘Tipsy’ garden, a shingled patch of potted plants and ‘inspirational’ sayings. Somewhere to reflect on mortality, or dump the kids while you go back to the bar, it’s hard to tell. Moving on and bearing left from the Grape and Grain, walk down Church Road. This is the back alley of the triangle to Westow Hill’s royal thoroughfare, cluttered with pavement antiques, racks of clothes and unmoving traffic. Finlay’s Bureau of Investigation (Crystal Palace’s own detective agency) is situated here – you may need them later to help you track down a night bus. Near the end, you’ll hit the Alma. The Alma was built in 1854, the year of the Crimean War battle that gave it its name. Alma also means ‘soul’ in Spanish. As I mentioned this to my no-doubt captivated drinking partner, the barman piped up: “Sorry, sir, we don’t sell Sol.” Indeed they don’t – Bermondsey Best (£4.20), UBU Purity, Wimbledon Common Pale Ale, Long Man Brewery American Pale Ale, Sam Adams, Mosaic, Longhorn IPA and Freedom lager are more up their street, a little more well-to-do, a little more thinking drinking man’s. An interesting selection of spirits – Tovarich vodka and Frangelica catch the eye – vie for attention with a good wine list and a short, unpretentious pub menu. Clean, light, modern and well heeled, with pea-green walls and wooden floors, I recognised this pub when it appeared on an episode of Location Location Location. I think Kirsty Allsopp was feeding beer to a traumatised North London couple about to drop six figures on a maisonette in Penge. The landlords have made the most of the pub’s Victorian history. There’s an elegant fluted bar, and a penny farthing wheel dangles from the wall next to Great Exhibition posters in a light-dappled one-room bar flaunting pendant lights, exposed brick, gilt-framed mirrors and iron columns. At night, or in the winter, the interior transforms to dark and cosy with rug-lined seats surrounding multiple fireplaces. 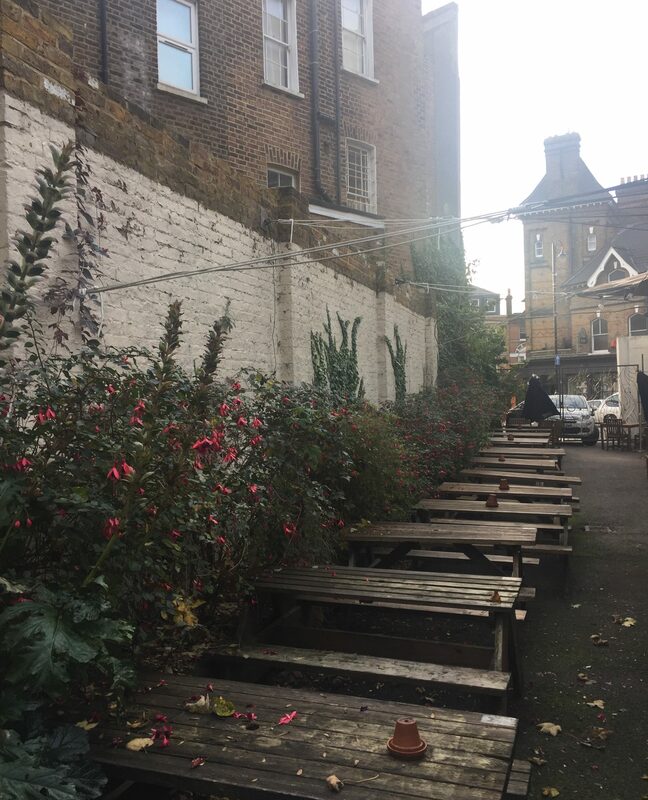 In warmer weather, step out to the huge beer garden and its ivy-clad walls, palm trees and rioting pink fuchsias. A gazebo roof covers half of the garden and a built-in barbecue. Smokers are barred from this part and must take their chances with the English weather. 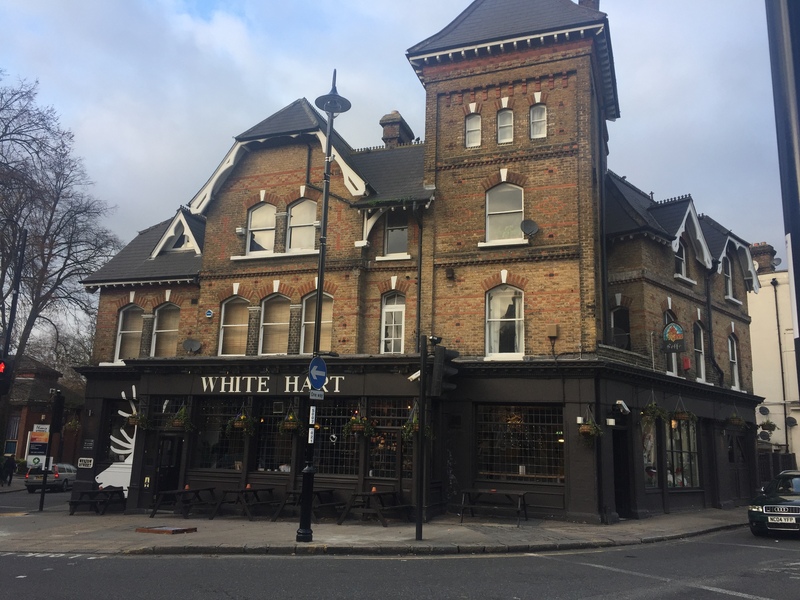 Previously a hotel for visitors to the Crystal Palace, more recently a dingy O’Neill’s, The White Hart is the pub that kick-started the triangle’s journey to bourgeois village status. The only thing going for the O’Neills was a pool table, and the elation when you got out of there without losing your teeth. Now this is a pub for people who don’t really like pubs but would rather play board games and eat burgers – they used to be called children. When did the children take over? Going to be a pub used to be a rite of passage, to pass muster with the heavily bearded, hollow-legged grown-ups. Now the Operation-playing, pistachio-munching hordes run the show. As if they’re too bored to sit in a pub with one style of décor, the White Hart is now split into zones – a dining room sporting a balsa wood hart’s head, a gloomier TV room with blood-red sofas, a bar-lounge and a heated walled garden. It’s like The Crystal Maze except it’s the staff shovelling your money into their pockets. That being said, it’s a perfectly comfortable place to drink and one that seems to placate your trendy young cousin and your mother alike. And you can’t say that about an O’Neills. 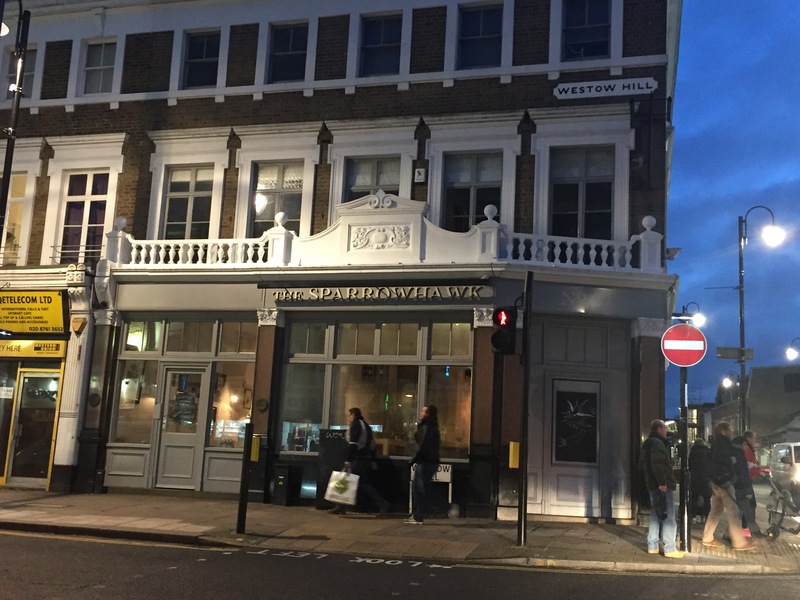 There’s an open kitchen and a bar that seems to have a great deal on offer, but on closer inspection the bog standard lagers bump up the numbers – Becks, Kozel, Red Stripe, Veltins, Peroni, anyone? Cask Marque Doom Bar (3.75 a pint), Sharp’s Atlantic and Long Man IPA offer better refreshment. Best seats for lone drinkers irritated by modern life are the two at the front, from the southern apex of the Crystal Palace triangle, you can see south down Church Road and the Croydon transmitter. There’s a Monday night quiz and Thursday hosts a music night. 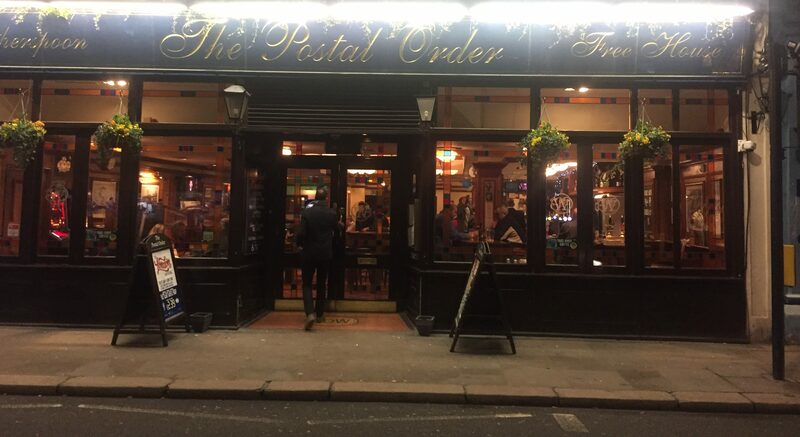 Round the corner and on to Westow Street, you’ll come to The Postal Order. 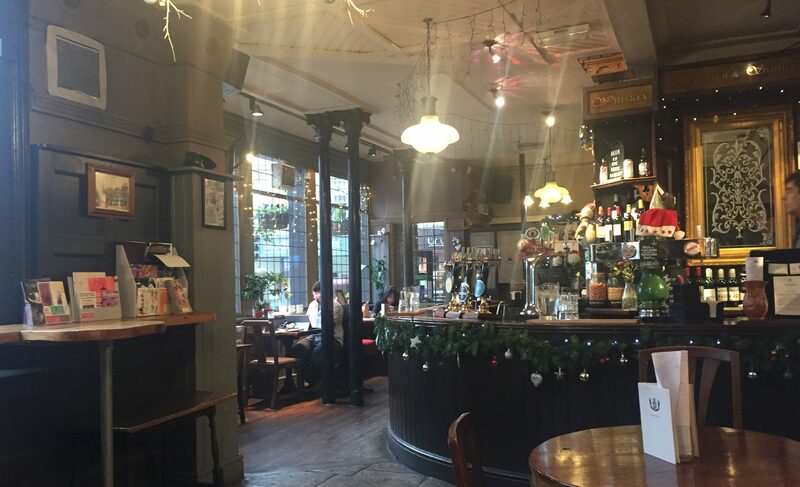 Once a sorting office, this one-room Wetherspoons lodged between the Sparrowhawk and the White Hart caters for those who genuinely don’t fancy the gentility of the pubs that flank it, who don’t agree with vases of flowers on tables, nuts in bowls or paying five pounds a pint. So pampered was a local friend with craft beer and tea cosies, he honestly thought he’d get his head kicked in here. 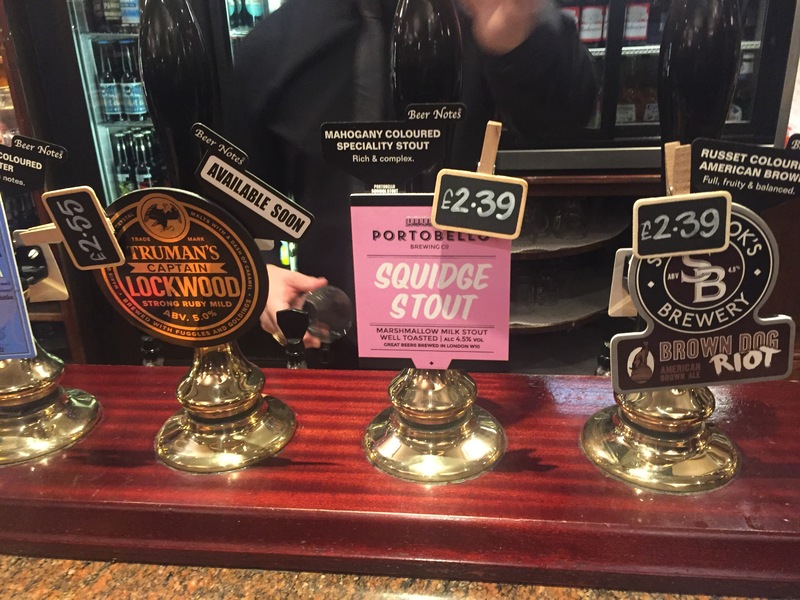 But the service is perfectly civil, and at the time of visiting, Squidge Stout and Sambrook’s Brown Dog Riot were both on for 2.39 a pint. 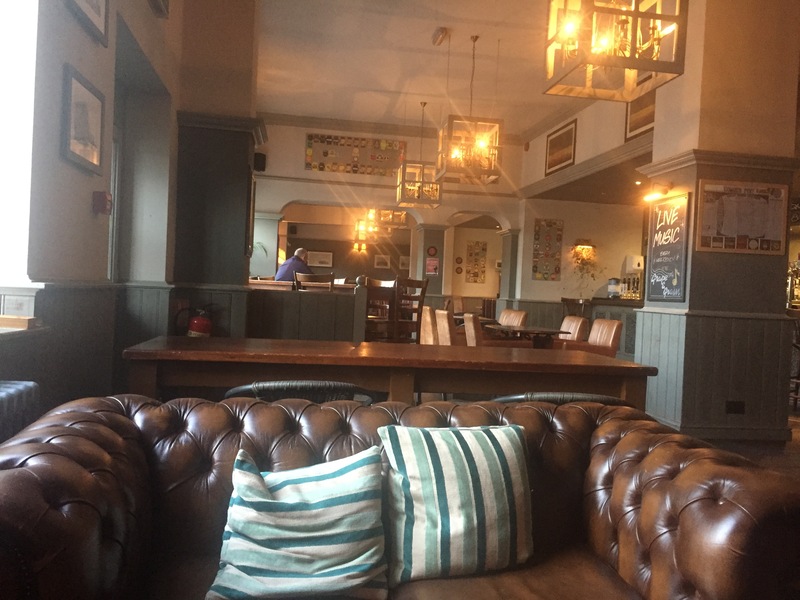 It’s a Wetherspoons, so there’s a sticky blue carpet and half the tables are clogged with dirty plates and ketchup bottles, but it has plenty of room at the bar and it’s well worth packing yourself off here. See Sylvan Post in Forest Hill for another ex-post office pub. 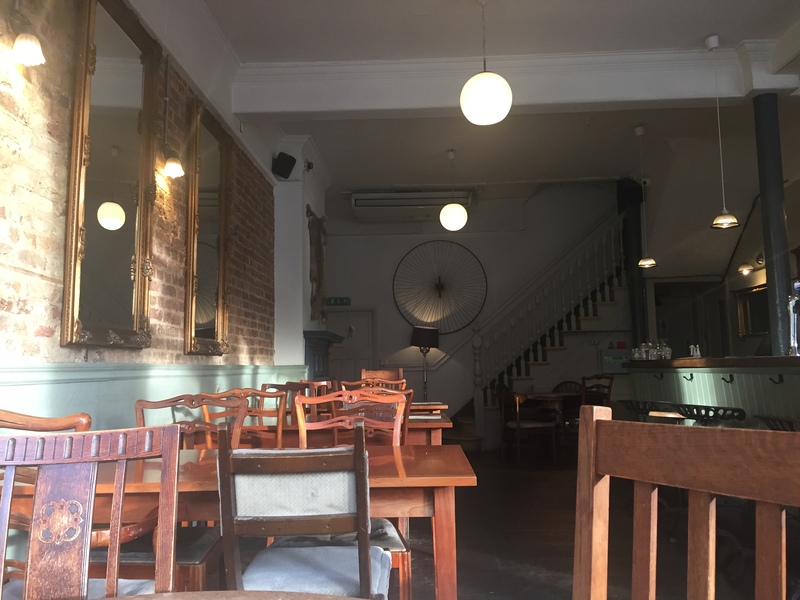 If the White Hart caters for children with media jobs and a pistachio habit, the Sparrowhawk on the corner of Westow Hill and Westow Street is crawling with real ankle-biters – in the afternoons at least. Maybe it was my mistake for visiting at 4.30pm, when frazzled mums want to get on the razzle, or perhaps the owners could bite the bullet and put a sandpit in the corner so the rest of us can drink in peace. Luckily, by seven, a more adult, speakeasy atmosphere reigns, though this Melissa & Doug penguin stuck around, way past its bedtime. If the Grape and Grain oozed incompetent DIY masculinity, this pub is adorned with smart, clean, feminine touches. Tables and tea chests are decorated with tea cups and tealights, the sign for the toilets is made out of fabric and there’s Bayliss and Weav er hand wash in the gents. The wine list appeals, all at under 20 a bottle. 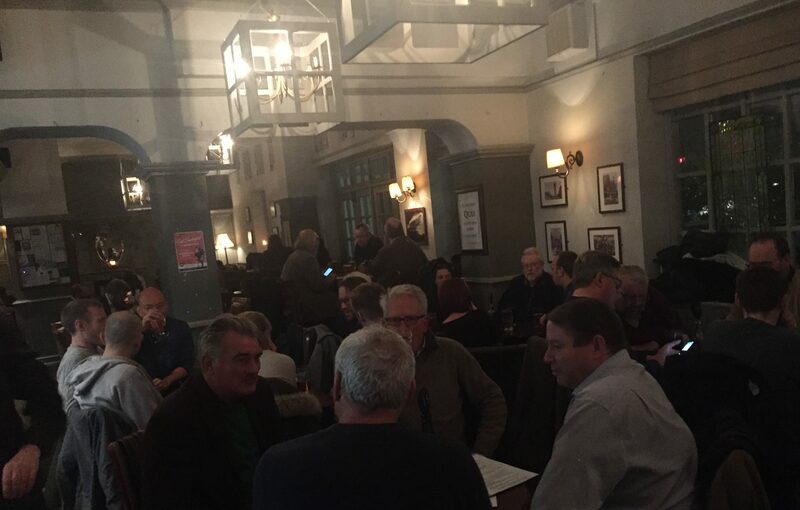 But pint drinkers may prefer to choose from always-welcome Harvey’s Best (4 a pint), Doom Bar, San Miguel, Becks Vier, 1664, Amstel, Mad Goose, Purity IPA, Leffe, Caledonian, Coast to Coast, Kozel, Guinness or Aspall. Situated on the north-western corner of the triangle, local drinkers can soak up traffic mishaps from big brown Chesterfields beneath steamy wide plate-glass windows or from the pavement outside. Great for people watching, and no doubt customers were suffering delicious schadenfreude and raising a glass when a Southern Rail train, the bane of southeast London, being transported by truck, couldn’t even do that right and was stranded on the crossroads here. 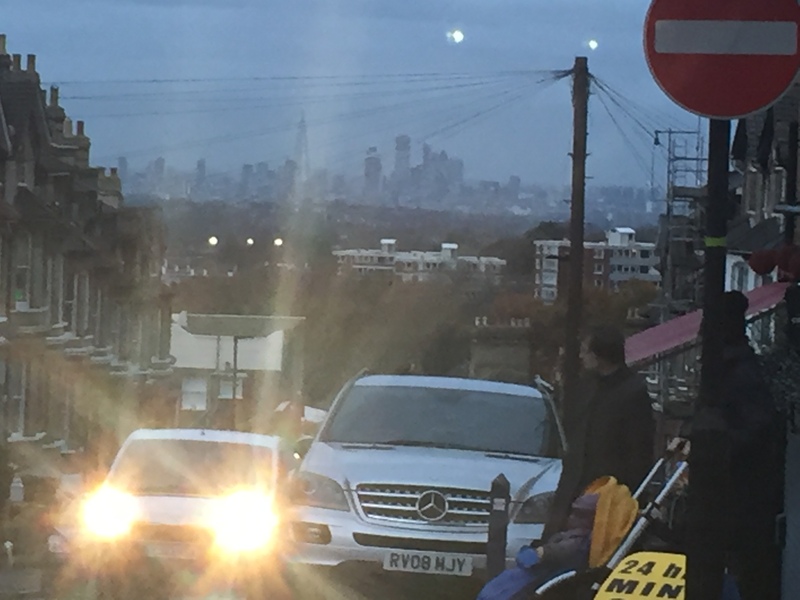 The best views of London from a pub in Crystal Palace are to be found in one of its most unprepossessing pubs. 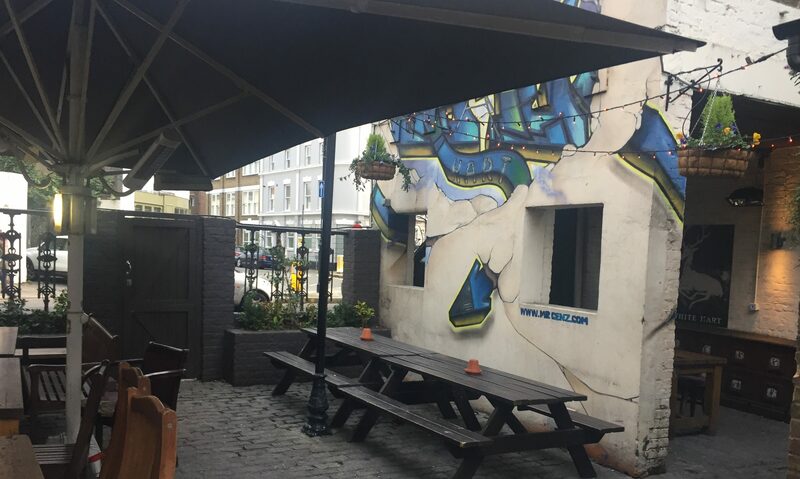 Sit in the cobbled front beer garden and, between a Winkworth estate agent and a library, you can feast your eyes on the jagged cityscape 10 miles away while sipping on a Cask Marque London Pride. Sometimes there’s even a seafood stall beside you. Now that’s proper south London. The whitewashed but gloomy L-shaped single-room bar is stripped back but resolutely ungentrified. This place used to look far more Victorian inside before they refurbished out, but they’ve kept the Toby jugs, the landlord and many of the locals I recognise from fifteen years ago. That’s why the pub is known as the Uncle Albert. If you don’t fancy the London Pride, it’s short shrift at the bar, with Strongbow, Fosters and Stella the slim pickings. Much busier here than in other local pubs in the day, but the bucket sofas do make it hard to stand up. 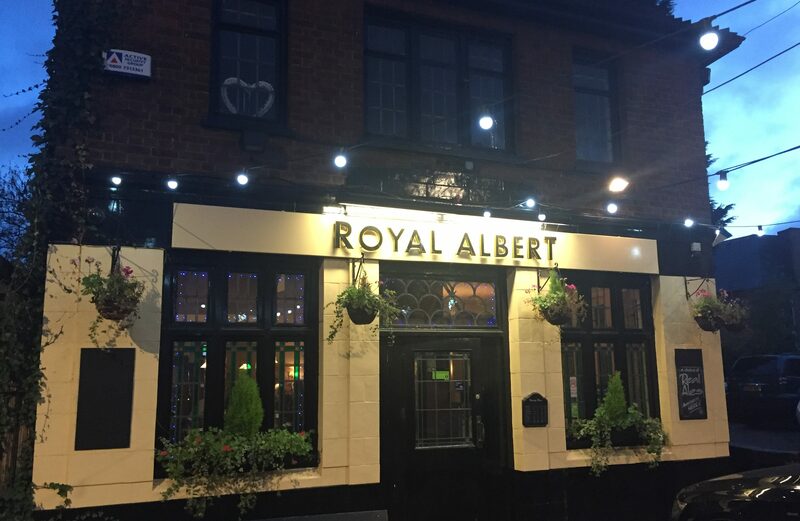 Checking out the Royal Albert’s reputation on TripAdvisor, I was perplexed to see so many comments from people dining so badly here (how bad can a packet of crisps be?). It was only when I read ”The whole experience was stressful and meant we only got to the concert with only two minutes to spare” that I realised the goons had been eating near the Royal Albert Hall in Kensington that all became clear. 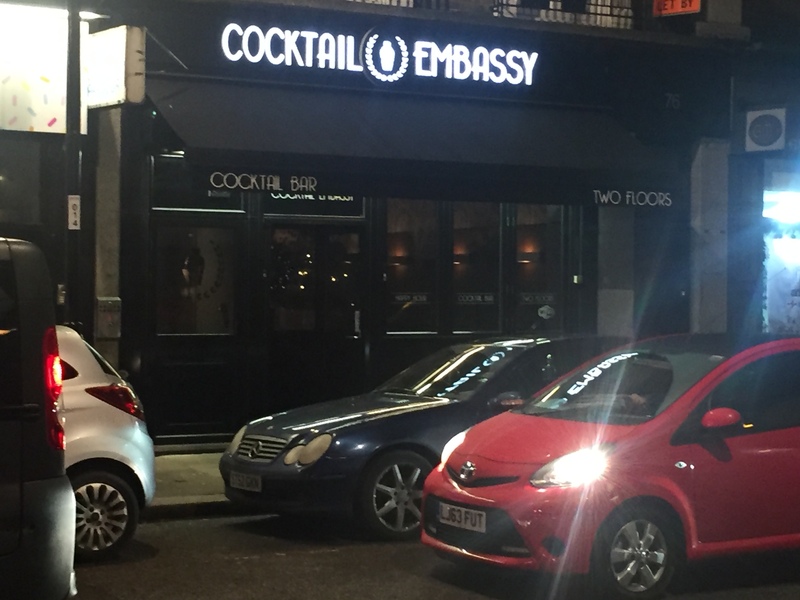 A word of warning: do not stop in the Cocktail Embassy on Westow Hill on your final leg of this pub crawl. Yes, it looks pleasant enough, and you may be feeling tired of beer by this time, but don’t risk it. I went here with a friend once and ordered two Manhattans. They took half an hour to make one and then left it perspiring on the bar while they took half an hour to make the second. One was warm, one cold, both were appalling. 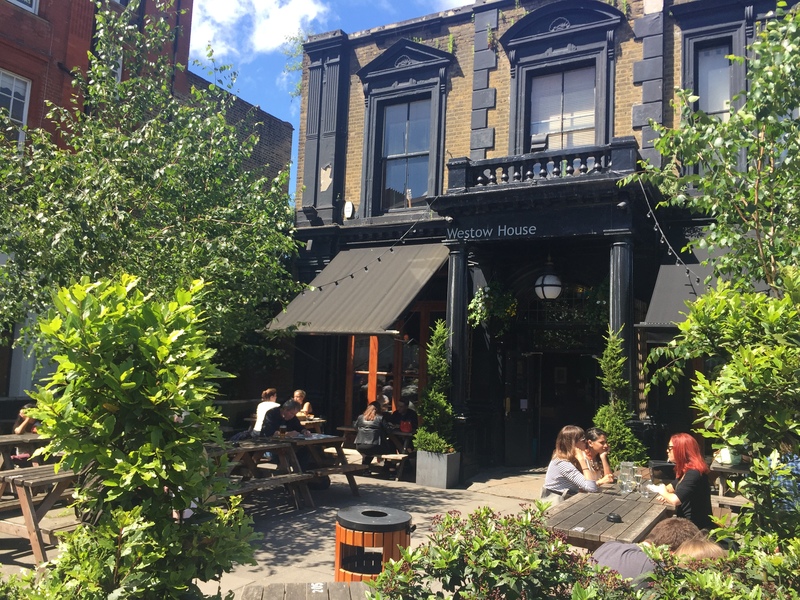 You’re never alone with a book, or a pint, so for drinkers of a bookish persuasion, or book lovers of a drinking persuasion, this is the pub to come to in Crystal Palace. The book-lined alley to the left as you come in contains, within arm’s reach at the time of writing, books on or by: Hamlet, Richard II, Welsh rugby, Pavarotti, dinosaurs, Wilbur Smith, DH Lawrence and Pamela Stephenson. 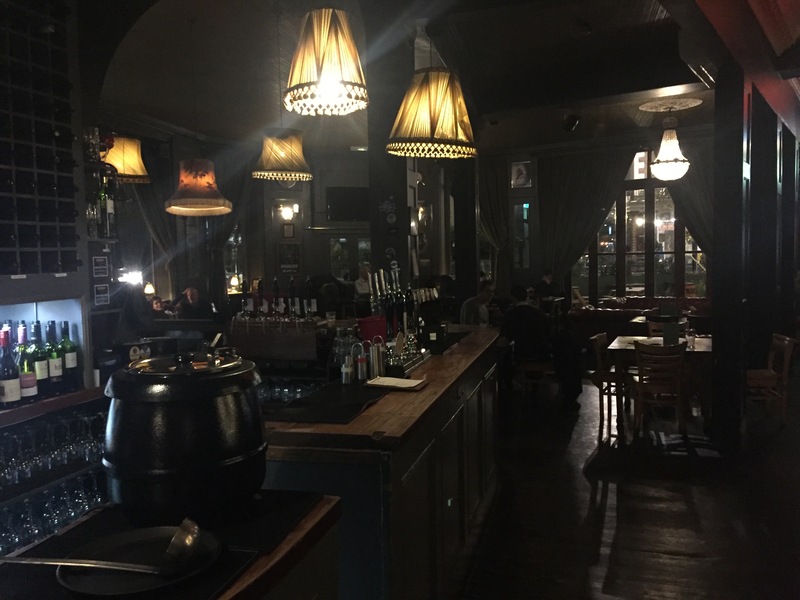 The beer is just as eclectic on a regularly changing cask menu with a local bias – you’ll often find Gipsy Hill or the Cronx here. Antic special Volden is always on, and usually on keg is Camden Stout, Amstel, Grolsch, Heineken. There’s plenty of bottled craft beer too and unlike most visitors, interesting guests – last time I sampled Island Records Jamaica Porter, Gloucester Sour Puss and Modus Hoperandi IPA. A jar of Bonios and jugs of water for dirt-spattered dog lovers coming in from the park over the road adds a cosy village pub vibe. Table football, a Star Wars fruit machine, pinball and big Chesterfields compete for the attentions of the non-bookish. It’s a large room with stairs down to a dining area that’s often colonized by drinkers too on weekend nights. 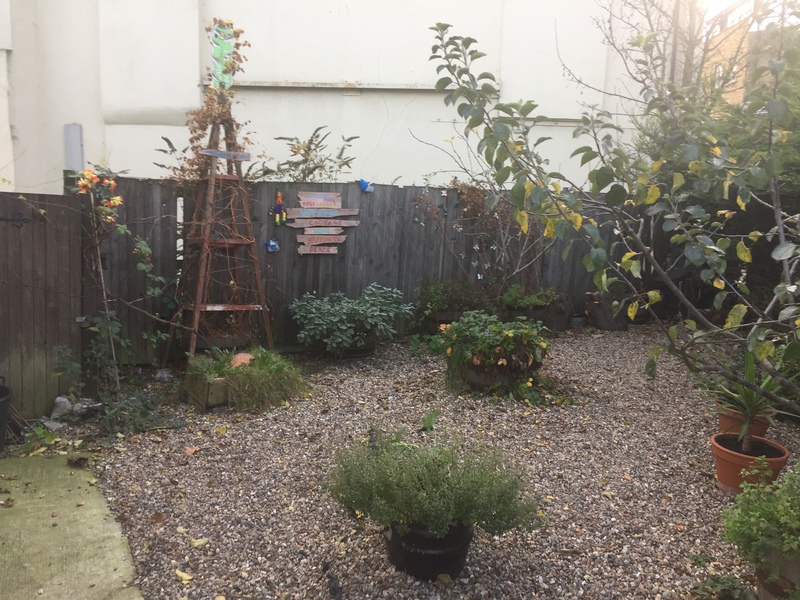 Outside the black-painted portico and window frames, is a rather sinister big concrete-slabbed yard separated from the busy crossroads by a low wall, crammed with picnic tables and enlivened by silver birch and rosemary and strung with lights. Across the road is the Grape and Grain, and the tour of the Crystal Palace triangle is complete – unless you fancy going around again. 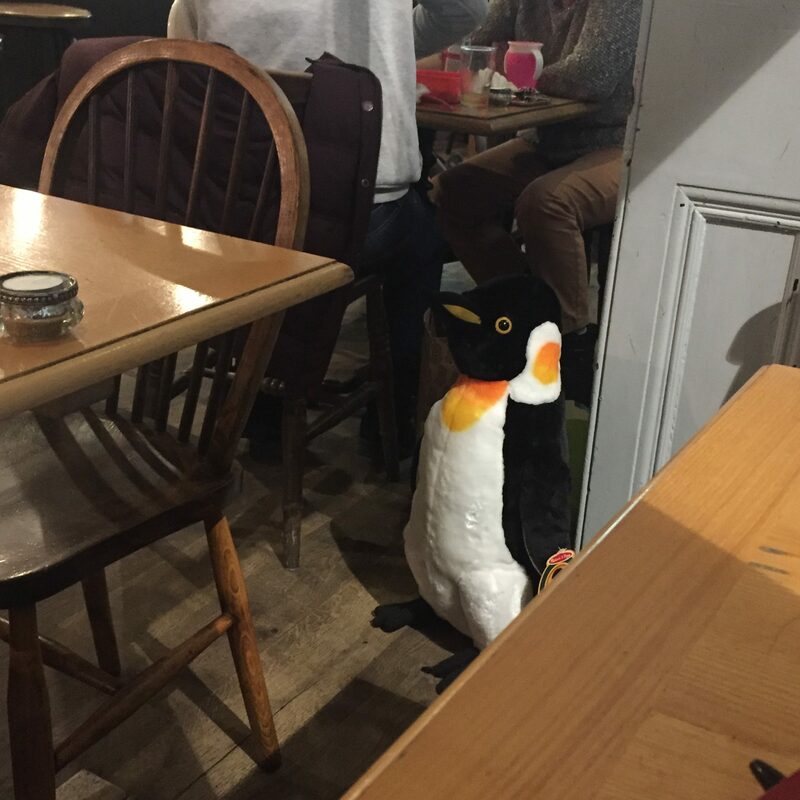 This entry was posted in Crystal Palace, Drinking and tagged in craft beer, crystal palace pubs, london se19 pubs, se19 pubs, south east london, south london pubs.